Cheese Scones – best recipe ever! Sometimes food can say a thousand words. Like saying sorry to your neighbour for getting the wrong tree cut down, or ‘oops – inside thought‘ to a friend, or ‘thank you’ to a colleague. And when I need to do penance, or bribe or thank someone these scones are delicious foodie emissaries. 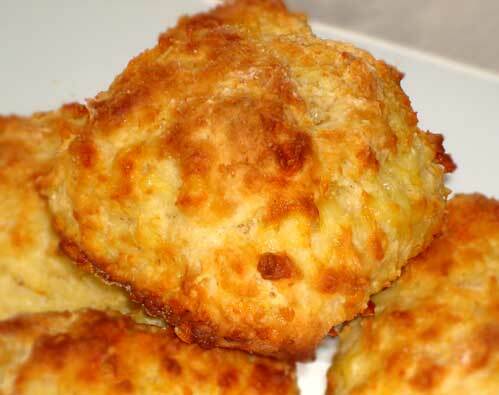 This is the best and easiest cheese scone recipe I know. It comes from a cafe in Wellington – Ministry of Food. It’s close to our Parliament buildings and I got addicted to these scones when I was working near by. Thanks to Cuisine for publishing it. Though this is quick and easy there is a trick to a great scone. So here are here are my tips, collected from my mum and many friends over the years. 2. Preheat the tray – put it in when you turn the oven on. 4. Mix quickly by making slicing actions with a knife, just enough to bind together. Don’t over mix. 5. Touch the mixture as little as possible and get it into the oven asap after mixing the milk in. Oh and one last thing, use a strong tasty cheddar for a truly delicious scone. Preheat oven to 220º C. Put the tray in to heat. Sift flour, baking powder, salt, sugar and cayenne pepper into a bowl. Mix in cheese. Make a well in the centre. Check you have a clear bench with flour on it, the oven is fully heated. You want the scones to go into the oven as soon as possible. Add the milk, mix quickly with a knife. Turn out onto a floured bench and quickly shape into a 3 cm thick rectangle. Cut into 8 and put on to your floured, hot tray. Bake for 15-20 minutes. You’ll smell them as they get ready. Delicious! If you don’t eat them all they freeze well. To reheat put them into an oven for about 5 minutes. Use this recipe well, it has certainly helped me out of some scapes, and really will delight all who eat them. Why thank you. I must try adding other things to the recipe. I usually just slather with butter! Lovely easy recipe thank you! But I find NZ “tasty” cheese is still really mild, as they don’t let it mature long enough, so try getting some English Mature Cheddar from “On Trays” in Petone, that gives them a lovely kick! Also cannot understand why Kiwis add sugar to a savoury recipe? That’s how Sanitarium ruined English Marmite. Good tip about On trays. Did you make these without the sugar? It’s only a teaspoon so I am interested to hear if there was any difference. Wow I must try them with a real aged cheddar. I think the sugar is used more as a spice here rather than a sweetener. It certainly helps them brown up and caramelise. Maybe this is not needed with a more traditionally made cheese? Good luck! Did they turn out OK? Awesome – it’s a pretty failssfe recipe. Thanks for using it. i ended up with nine scones. Yes they were nice but I only cooked them ten minutes as on fan bake they were really colouring up fast. Next time I will lower the temp. They were messy in prep being so wet. I enjoyed them but next time I will probably one and a half times the recipe, make the scones bigger, and have the oven alittle cooler. Thanks! These were great! I’ve never been much of a scone maker but really wanted to have a go – they were really really good. Thank you! Mild cheese will be fine. They will still be cheesey, maybe with a little less tang, but I am sure they will still delicious. Let me know you go. These were so….good, and very easy to make. I did add a little dry mustard powder with the cayenne pepper. This will definitely be my go to scone recipe from now on. I just made these with spelt flour and they are delicious!!! A great after school treat for my hungry boys!!! Ooh that sounds great. I will have to try then using spelt flour. So glad they worked out for you. Just made these. They are yummy. Added some onion in as well. Delicious- cheese and onion is an epic combo! Just made these for the first time – soooooo good! Won’t be the last time! Love that there is no added butter or oil. I used the cream off the top of my raw milk, delicious! Great idea about cream off top of the milk- even more lush! Absolutely delicious. Never had much luck at making scones but these were just perfect. Next time I will add some dried chilli to give them a little kick. We visited NZ from Oz in March. At a stop at the Wellington Botanic Gardens our bus driver advised us that the Cheese scones served in the cafe were the best we would ever taste – so they were. Looking to duplicate the recipe I found your Cheese scone recipe and was delighted with the result. How wonderful not to have to rub the butter into the flour. How quick and easy it is to make these scones and how delicious they are. Have bookmarked this page for future cheese scone feasting. Awesome! And I am glad the MOF cheese scone is colonising Oz! I hope you had a great holiday! Hope they were ok. I reckon the sugar is important to help them brown. Hi Lucy have you adapted them to gluten free flour during your test cooking? I haven’t but someone called DN posted that they had the other day. They made them using the Edmond’s gluten free flour and added in 60g of butter into the flour. I also used skim milk. Good luck! I’d love to hear how they went. I reckon if you use a good cheese and add the sugar and cayenne pepper as per the recipe I reckon they’ll be good. What differnce would it make if I used low fat milk ( light blue lid) instead of full cream milk? Just made them but took longer to cook. Think I will try fan bake next time.Very good scones. Fantastic recipe would suggest using self raising flour instead of plain + baking powder really helps make them giant, fluffy and delicious! SO GOOD. I made them using the Edmond’s gluten free flour and added in 60g of butter into the flour. I also used skim milk. So delicious. Will make again – thank you! I’m not sure if plain scones would work as you would need to replace the cheese with butter. I have just posted a variation which I cooked on a barbeque grill. In this one you use buttermilk and an egg rather than butter. That might work. Good luck! Thanks- they always work for me and are so easy. I’m glad they worked out well for you. I made it but too salty and dried. This is my first time for making cheese scorns. I didn’t see vegetable oil or butter in ingredients ( After finished baking I checked other recipe from other website). Oh I am sorry to hear too salty and dry. They usually work well. Maybe try using less salt if you are using a good cheddar. There is no butter or oil as the cheese has enough fats. Good luck! Hi Lucy, just found your recipe. Mine is very similar and for “Anonymous ” from November 16, I use 100ml of cream and 200ml of milk for plain or fruit scones in place of cheese etc. (No butter or sugar needed) . We hope to visit NZ later this year. We were over in 2008 but didn’t get to the North Island. Cheers, Lorraine from Perth, Oz. Thanks Lorraine. I’ll try you recipe, not having to rub butter in makes them really quick to make. Yay- glad they were good! You don’t add butter ?? Nope- the cheese is enough. Hi Just made some, added 1/8th tspn of curry; parmesan cheese and 1/2 an onion ( very finely diced ) delicious all the family loved them. I’m rubbish at making scones but these worked and taste amazing. Fussy toddler approved too. Will be my go to from now on, thank you!! Awesome to hear Tess. It is such a fail-safe recipe. I love it that the fussy toddler approves. Another convert! Lessons from the first batch last week don’t add more milk, don’t pat the dough too thin, brush the tops with milk. Second batch last night, perfection 🙂 It truly is the best recipe, thanks Lucy. Awesome Sarah. I agree- I’ve had success with both dry and quite wet mixtures. So pleased they worked out. I’m gonna brush the tops next time I make them. Lucy, I did exactly as you instructed but added 2 good pinches of cayenne pepper and sustituted half a cup of cream for half of the milk as the cream needed using! Oh and I sprinkled the tops with a little of the grated cheese. The scones came out perfect, best I’ve ever made, even though I was worried about the mixture being a tad dry. They were not too spicy, just enough to leave a warm afterglow in the mouth. 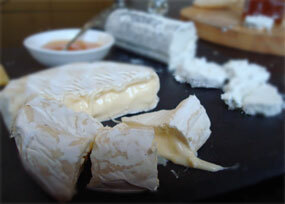 Yay, so glad you had a delicious cheeses success Maggie! It’s funny how sometimes the mixture ends up dry, other times a bit wet. Either way seems to work! I like a large pinch of cayenne. Ooh and cream is always good. This recipe is fab. Add some dried crispy onion bits and it’s delicious and they really do freeze well, if they get into the freezer! I agree about freezing and I just put them straight in a hot oven, they only take a few minutes to heat through. Mmmm with melting butter. Top marks Lucy. First decent scones our new oven has produced yet. Added some spring onion and red pepper and 1/2 cream/1/2 low fat milk. Don’t think we will get a chance to try freezing them. Great to hear Colin. If you want to freeze doubling the recipe works fine! Yum these were amazing. The only changes I made was that i used Edmonds GF flour, 60g of butter, 3/4 cup of milk mixed with 1/4 cup of natural unsweetened yogurt. They were delish. Ooh good to hear they work with GF flour! I made these on the weekend and while they were really yummy, I must have gone a bit wrong somewhere. The dough was dry and I should have added a bit more milk I think and I should have baked them a few mins less than 15, they were a bit dry. I’m going to give it a go again this weekend and add more milk I think so it’s a wetter dough. Good thinking Alyssa. Sometimes the dough can be a bit dry or a bit wet. I think it must be humidity or variations in the flour. Be bold when you add the milk. Add it all at once to make sure that you don’t over work them! A bit wet is not harm I’ve found, especially as they go so quickly into the oven on a hot tray. Good luck! Perfect every time I make these and have made over 20 times! Have forwarded onto others as well. Made a batch today at 1 and a half times the recipe and did 1 cup milk and half a cup water, came out just the same. Also, any cheese works – I have done with Tasty, Colby and mild. Thanks so much for the excellent recipe. Thanks Suzy, it is a great recipe that I got out of a Cuisine mag so share the love! Kia ora Lucy, bit late to the party but thought I’d add my voice to the throngs celebrating this fabulously simple yet most delicious recipe! I shall no longer google search every time I want to make cheese scones, this is embedded as the go to now. I had no white flour or tasty cheese so made my batch with wholemeal flour and parmesan (the cheap variety haha…) and they were perfection. Also used up around half a cup of cream to make up one cup of milk. So lots of variations on the original recipe but following the process to a tee ensured a perfect result. Ngā mihi, many thanks. Kia ora and thank you for your kind words. Yes I find it an amazingly versatile and forgiving recipe. I have even made it with vegan cheese and almond milk! They were light, fluffy and as tasty as vegan cheese can be! Next Next post: Tartiflete – best potato winter warmer ever!